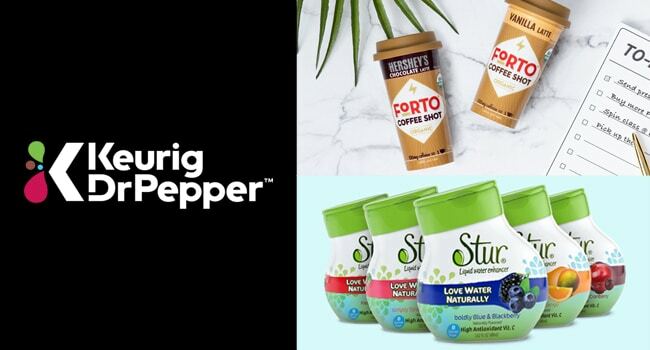 Dyla Brands, the parent company behind FORTO Coffee and Stur, is tightening its relationship with Keurig Dr Pepper (KDP), securing a $20 million raise led by the beverage giant and bringing in former CORE SVP of sales Jon Crecy to build its national DSD infrastructure. Existing shareholders also participated in the raise. Nestle veteran Alberto Hernandez Lopez has also been named Dyla’s new chief marketing officer, joining the company as the FORTO brand is in the process of making the leap from 2 oz. shots to an 11 oz. RTD energy coffee line this spring. 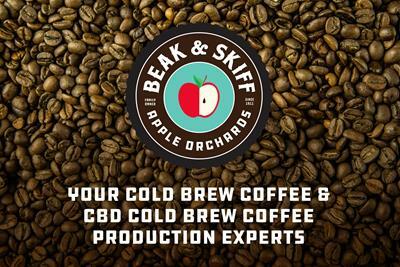 Dyla’s ties to KDP trace back to before the July 2018 merger of Keurig Green Mountain and Dr Pepper Snapple (DPS); global coffee conglomerate JAB Holdings, KDP’s majority shareholder, made a small venture investment in 2017. Now officially a part of KDP’s allied brands portfolio, FORTO is yet another asset in the company’s RTD coffee strategy, positioned as an innovative, energy-focused complement to products from Peet’s and High Brew. The brand has secured partnerships with national retail chains like Walmart, Walgreen’s and Dollar General, while also leveraging its format and packaging design into licensed brand partnerships. The brand introduced a Hershey’s branded chocolate flavor in 2017, and last year began producing coffee shots for JAB-affiliated brands Green Mountain, Donut Shop, Krispy Kreme and Gevalia that feature “Powered by FORTO” on the package. Speaking with BevNET, Dyla founder and CEO Neel Premkumar said that the impetus for this round of fundraising arrived following the merger, which provided the opening for the brand to enter a nationwide DSD network. “The opportunity to go DSD opened up this chance for us to not just have checkout distribution via wholesalers but also get secondary display, off-shelf display, to go smaller format with cooler door racks and larger format with floor stands and shippers,” said Premkumar. On the marketing side, the addition of Hernandez brings another seasoned veteran to the team. As VP of integrated consumer communications at Gerber, he helped execute a comprehensive overhaul for the baby food brand that shifted the focus towards clean ingredients and more sophisticated flavors. While Crecy builds out the sales operation, Premkumar said Hernandez will help kickstart a national media campaign to raise brand awareness. Yet he also indicated that both new hires will be a key part of helping move beyond Dyla’s existing offerings. The investment also comes as FORTO’s first non-shot product — an 11 oz. RTD energy coffee available in three varieties — is being rolled out at retail this spring. Premkumar said the investment was timed to coincide with the new product, which is currently available at Walmart nationwide, and that the brand’s marketing strategy will be informed by consumer data.